“An ounce of prevention is worth a pound of cure” (Benjamin Franklin). Preventive care dentistry helps you to keep your teeth healthy and free from infection, disease, or abnormal pathology. The American Dental Association recommends that everyone have their teeth professional cleaned and examined every 6 months. A preventive care visit enables your dentist and dental hygienist to examine and intervene if necessary to treat any areas of concern. Disease in its early stages is easier to treat and is less expensive. Dentistry for the Entire Family offers a comprehensive number of preventive procedures. Many are performed at each preventive visit. Click on any of the topics below to learn more about our preventive care services. A professional teeth cleaning removes bacterial plaque, calculus (tartar), and unsightly stains from the outer surfaces of your teeth in order to prevent the onset of dental caries, gingivitis, and periodontal disease. During your teeth cleaning, your dental hygienist will share any helpful tips, tricks, as well as any dental product recommendations to help you care for your teeth and gums between preventive dental visits. Afterwards, a dentist will examine your teeth for dental caries and inspect your oral tissues for pathology. Call (763) 586-9988 to schedule a professional teeth cleaning with one of our dental hygienists or click on the button below to request an appointment online. Dentistry for the Entire Family converted to digital x-rays shortly after the technology became available. Digital dental x-rays replaces traditional x ray film technology with a digital x ray sensor that is smaller, more comfortable, and renders enhanced computer images of your teeth, gums, and other oral structures while significantly reducing your exposure to radiation. Decay Detecting X-Rays (aka bitewings) This series of films enable the dentist to see in between your teeth to detect dental caries (cavities). Full Mouth X-Ray This series of x-ray establishes a baseline and is used to detect any abnormalities or lesions that would otherwise be undetectable by a visual dentist exam. 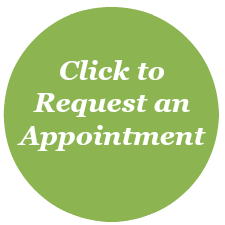 Call (763) 586-9988 to schedule a dental examination appointment or click on the button below to request an appointment online. Periodontal disease is an infection and inflammation of the gums and bone that surround and support the teeth. In its early stages, its called gingivitis, which is inflammation of the gums. Gums can be red and swollen, and may bleed during brushing and flossing. Gingivitis is reversible with a dental cleaning and improved home care. Left untreated, gingivitis can proceed to Periodontitis, permanent loss of bone that supports the teeth. Periodontitis treatment may include periodontal therapy and/or surgery and short continuing care visits every 3-4 months for life. A recent CDC report indicated that 47.2% of adults aged 30 years and older have some form of periodontal disease. Periodontal disease risk increases with age, 70.1% of adults 65 years and older have periodontal disease. comprehensive periodontal evaluation annually and evaluate any areas of concern at each preventive care visit. Call (763) 586-9988 to schedule a periodontal screening and teeth cleaning appointment with one of our dental hygienists or click on the button below to request an appointment online. Because we are all at risk for oral cancer, Dentistry for the Entire Family dental team will perform an oral cancer screening during each exam and preventive care visit. During this exam, we are looking for any changes to your face, neck, lips, and mouth. Examples include: changes in color, texture, palpable lumps or bumps. Should we find anything that appears suspect, we will arrange for you to have a consult with a specialist for further evaluation and testing. Call (763) 586-9988 to schedule or click on the button below to request an appointment online. Occlusion refers to how your top and bottom teeth interlock/bite together when closed. Crooked, crowded, or malpositioned teeth could indicate a need for dental braces (orthodontics). Our dentist will evaluate and discuss their findings regarding your occlusion at your initial exam and at subsequent preventive care exam visits. If necessary, we will provide you with a consultation referral to an orthodontist. Dr. Thyra Jagger is Invisalign certified and provides complimentary Invisalign consultations. Bruxism is the involuntary or habitual grinding of the teeth, typically during sleep. Unmanaged bruxism can lead to excessive wear, cracks, sensitivity, and painful chewing. Our dentists will look for evidence of teeth grinding and/or clenching at your initial and preventive care exam visits. If the dentist suspects or sees visual evidence of grinding, a soft, inexpensive, flexible mouthguard can be custom fabricated for you wear while your sleep. This will prevent further wear of your teeth. TMJ stands for Temporomandibular joint. Dysfunction of this joint that we use to chew, talk, breath, swallow, yawn, and snore can lead to symptoms such as: headaches, neck, shoulder, or back pain, clicking, popping, or problem opening and closing your mouth. A TMJ exam is performed by one of our dentists at your initial and preventive exam visits. The dentist will ask you to open and close your mouth several times to determine if there is evidence of clicking, popping, or limited range of motion of the jaw joint. The dentist will also ask if you’ve experienced any pain, tenderness, or any other symptoms. Many TMJ symptoms can be self managed and stem from daily stress and habits such as grinding and/or clenching of our teeth. If further evaluation is necessary, we will collaborate and arrange for you to see a specialist. Fluoride is often called “nature’s cavity fighter” (Source:Mouth Healthy.org). Fluoride, a naturally occurring mineral, helps prevent dental caries by making the outer surface of your teeth (enamel) more resistant to acid attacks from our intake of foods and beverages. Dentistry for the Entire Family promotes use of fluoride for children and adults. Systemic and topical application of fluoride is important for the development and maintenance of healthy teeth. Fluoride helps to strengthen exposed enamel and root surfaces from consumption of acidic foods and beverages. Call (763) 586-9988 to schedule a professional dental cleaning appointment or click on the button below to request an appointment online. The American Dental Association recommends brushing two times daily for 2 minutes and flossing one time per day. Not taking care of our mouth can increase our risk for dental caries (cavities), gum disease, temperature sensitivity, or even tooth loss. Dentistry for the Entire Family’s dental hygienists are preventive care experts and will share with you any helpful tips and tricks that’ll help you keep your smile bright while minimizing your accumulation of dental plaque, calculus (aka tartar), and stain in between dental visits. What you eat impacts your dental health. Depending upon your food and beverage choices, you could unknowingly be putting yourself at greater risk for dental caries. Inadequate intake of necessary vitamins and minerals can also impact your ability to fight infection and minimize inflammation, often associated with periodontal disease. Our dental hygienists will often ask about your intake of sweet, sugary foods and beverages at your preventive care visits. Moderation of these foods along with good home care practices will help to minimize your risk of dental caries and periodontal disease. There is a plethora of dental products available over the counter and advertised on television. Which products are right for you? Any of Dentistry for the Entire Family’s dental professionals can help answer any questions you may have regarding dental products, including electric toothbrushes, you’ve seen advertised on television or in stores. Just ask, call, or email us between dental visits. We’re here to help and don’t want you to be misled into buying a product that doesn’t work or is not beneficial for you. Dental sealants are thin, plastic coatings applied to the deep pits and grooves of permanent molars (furthest back teeth) once fully erupted inside mouth to help prevent dental caries (cavities). Permanent molars erupt typically around age 6 and 12 years of age. Research indicates the placement of dental sealants can reduce dental caries by more than 70% (Source: The Surgeon General’s Report on Oral Health). Dental sealants are considered preventive and are often covered at 100% by most dental insurance providers. The National Youth Sports Foundation for the Prevention of Athletic Injuries Inc. reports that dental injuries are the most common orofacial injury sustained during participation in sports”. Dentistry for the Entire Family has a machine in office to fabricate custom fit athletic mouthguards. They’re low cost, available in several colors, and can be made within 1-2days.